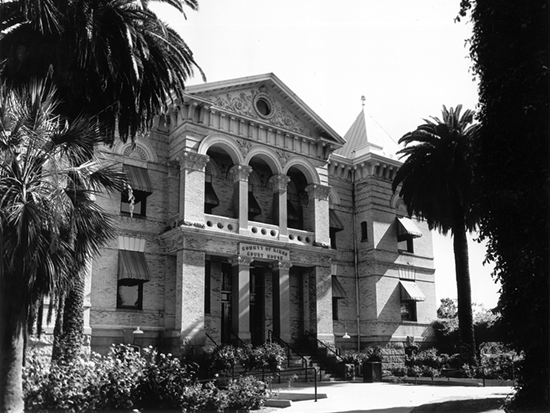 King's County was not officially incorporated until 1893, when it broke away from Tulare and established a county seat in Hanford. For years county offices were spread around the town, with the courts operating out of the Opera House, until supervisors approved plans for a courthouse "in granite stone [with] terra cotta trimmings and the sum of $26,000." The courts and other county offices occupied the Neoclassical Romanesque building until a new government center was constructed in 1977. The building, which is listed on the National Register of Historic Places, is now used for offices, retail shops, and restaurants.